Three years ago, my officemates and I went to Coron, Palawan. The owner of the place we stayed in gave us a boat with two boatmen, and much like a paper boat we sailed not knowing where we would go. They took us to several islands, those that can be reached by the fuel that revved up the boat. 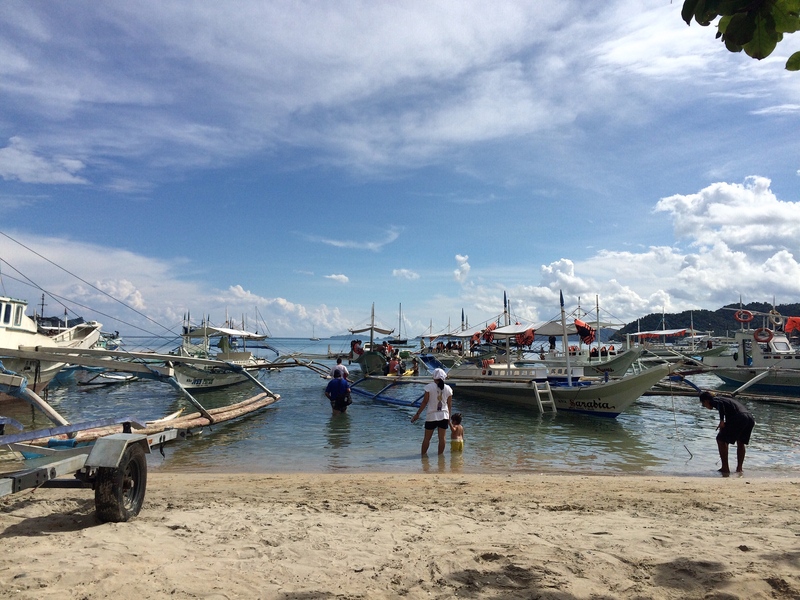 Our island-hopping tour was spontaneous and unpredictable; we had no set itinerary. 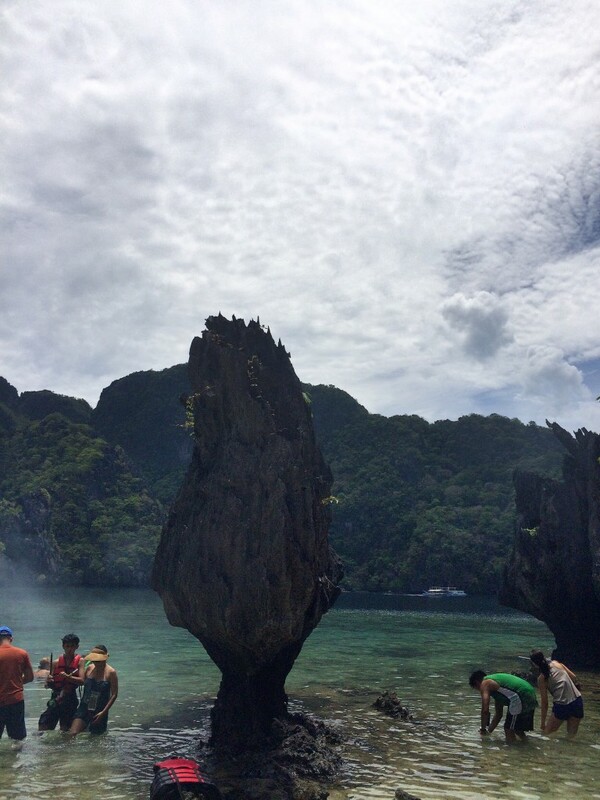 It’s an entirely different story in El Nido. The most popular tours of them all are Tours A and C. Out of curiosity, I asked this driver from Lexxus why is it so. According to him, the islands on Tours B and D are farther than those on A and C. When you take B or D he said, you may only get to visit 2 or 3 islands in a day. Rates for these tours are fixed regardless which agency you book your tour with. Tours are inclusive of lunch, but you have to shell out an additional of PHP 200 for the environmental fee. Though I was quite curious about Tours B and D, I opted to just follow my friends’ advice and booked Tour A. There are many big-time and small-time tour agencies offering their services. The first island we went to is Miniloc where you can find the Small Lagoon, Big Lagoon, and Secret Lagoon. We arrived on an island teeming with people, some were swimming, the others were kayaking. Our boat, as the others, stopped a few meters away from the opening of the Small Lagoon. When the head boatman announced that we have to swim our way to Small Lagoon, I stared at him like he just spoke in tongues. I almost cried out in protest, not out of laziness but because I know my limitation when it comes to swimming. Sure, I was wearing a vest but if I have to rely on my strength to get there it would probably take forever. Anyway, the head boatman saw my struggle and offered to return my phone in the boat. I was already questioning my sanity for trying to swim my way to the lagoon and it’s not just because of my limited swimming capacity but because of the corals. The water is not too deep, but the seabed is covered with corals. You can walk a bit but not without the risk of getting yourself hurt. In fact, I did graze my shin in them corals and I was even bitten by a friggin’ fish that I yelped in surprise. Also, there are lots of jellyfish that I wonder why people are allowed to swim in there in the first place. 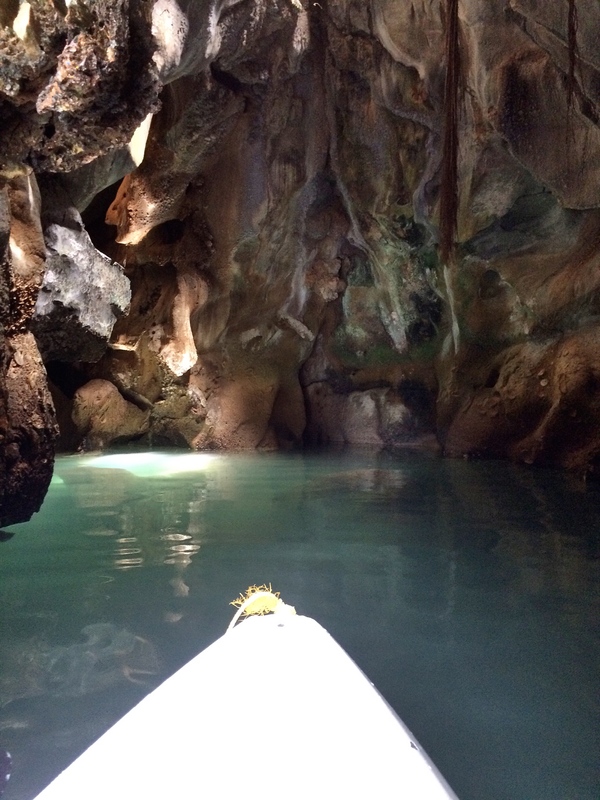 I didn’t want to make unnecessary expenses on this trip so I ignored the kayak, but I think I suffered enough and there is no way I would leave that place without going inside the Small Lagoon, so I asked the head boatman how much is a kayak rental. When he said that it’s only PHP300 per hour I let out a sigh of relief because it was cheaper than I thought it’d be. I thought it’d cost somewhere between 500 to 1,000 pesos. The boatman swam his way like a pro to the kayak area and got me one of those. He also thought it best to keep me company, probably because he witnessed how stupid I can be, so I instantly had a kayak buddy. My effort wasn’t for naught because Small Lagoon is so beautiful. There, the water is deeper, but it’s so clear you can still see the beautiful corals. And the jellyfish are everywhere! I found them so cute, I even tried to scoop them with the paddle (to no avail). Here’s a short video of my time in Secret Lagoon. 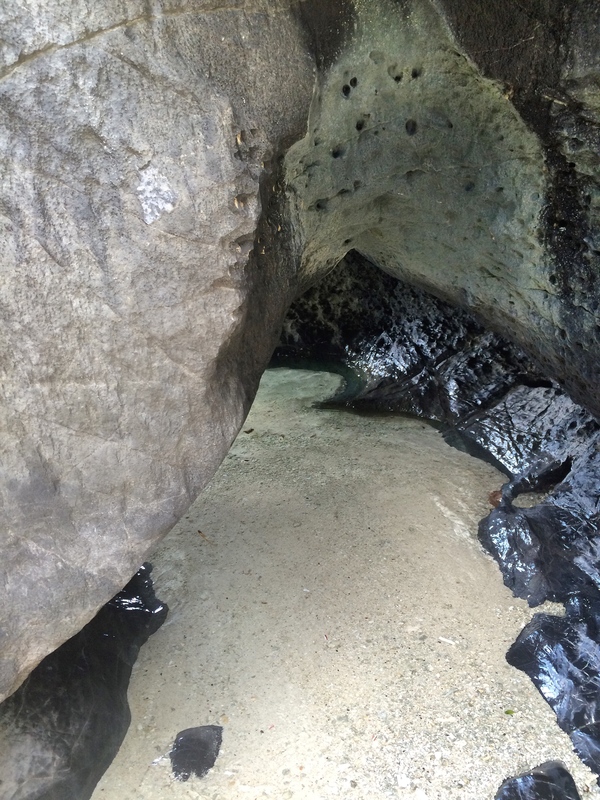 There is a small cave somewhere inside the Small Lagoon, which reminded me of that cave that my friends and I went to in Coron. Some people got creative and made a human chain while their boatman pulled them along to get to where they wanted to be. I imagined myself doing the same if I were with friends but of course, you already know, I went on this trip alone. We were supposed to go to the Secret Lagoon next, but I informed my boatman that I need a bathroom. You see, I happened to be on my first day of period. Please don’t tell me this is too much information, okay, all women get their period and unfortunately, I got mine on that day. Because it’s that time of the month, swimming was an extra challenge for me. The head boatman was kind enough to consider my condition so he decided that we go have lunch first on Payong Payong beach. If you are curious, there is no restroom in Payong Payong. I will spare you the details but let’s just say that I took care of the matter “creatively” and no longer went swimming for the rest of the trip. So to all women out there, I highly recommend that you schedule your trip when you’re not menstruating, especially if you are going on an island hopping. 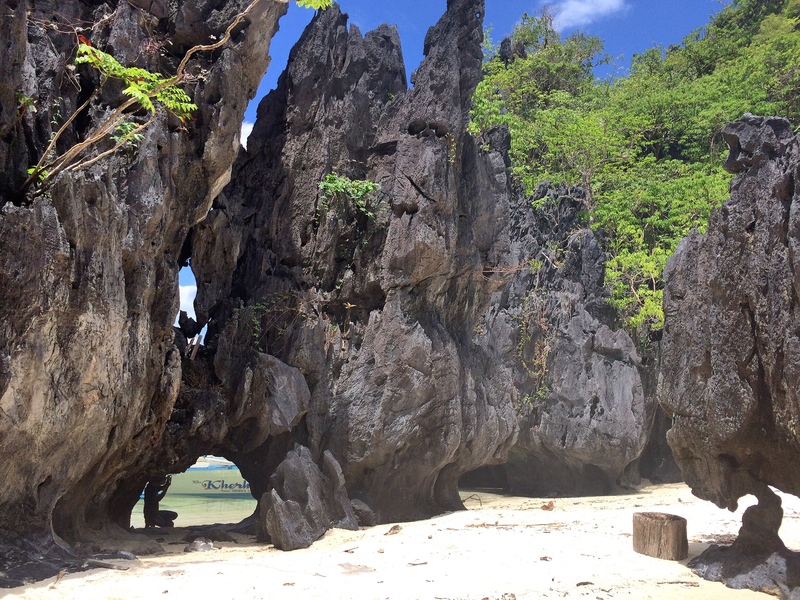 Payong Payong is a rugged beach surrounded by sharp, uneven rock formations. The seashore is bedecked with rocks and crush corals that you have to be extra careful when you take a walk here. While our boatmen prepared our lunch, some went snorkeling (like this Chinese guy who reported that he saw turtles), some spent time taking pictures, while I got busy taking my own picture, what else. Our lunch was pretty basic, there’s grilled fish, roasted chicken, vegetable salad, and fruits. There’s 15 of us on the boat and rice was not enough. One of my fellow passengers complained to the boatmen about the rice, the boatman replied that he and the rest of the crew didn’t get that much food too. The passenger sorta felt guilty so she started offering them cheesecake. My appetite was absent so I hardly ate much, and I also went easy on drinking water because like I said, there is no toilet in our boat. Out of all the islands we went to, I wasn’t able to enjoy the Secret Lagoon. As the name implies, it is not out in the open so you have to go through this small opening to see it for yourself. Because I didn’t want to risk getting wet anymore, I decided to just stay on the boat. In fairness, he returned the favor by taking some of my pictures too. He even instructed me how to pose in front of the camera. I must say Tyra Banks Guy knows what he’s doing. Thanks to him, I have this photo. When the rest of our group returned, one of the passengers was already sporting a jellyfish sting. I told you, jellyfish come aplenty in Miniloc so be extra careful when you go swimming here. Good thing there’s a vinegar in our boat so they were able to do some first aid on her. After the Secret Lagoon, my phone died on me. My hunch is that it short-circuited because, stupid me, I plugged it on my power bank even when it got soaked in water. Because of this, I wasn’t able to photograph the most beautiful lagoon I’ve ever seen on this trip, the Big Lagoon. This time, we just passed through the lagoon and were refrained to do any more swimming. This has more to do with the fact that we no longer have enough time to spare. When they say big they sure weren’t kidding. The Big Lagoon begins with a path submerged in water that is no higher than the knees. Because the water is shallow most of the boats stop by the opening and then the tourists are asked to walk their way toward the lagoon. A few boats go all the way to the lagoon though, just like ours. It wasn’t easy because as I mentioned, the water down the path is low. In fact, we got stuck at one time so some of the men on our boat including the passengers got off to help push it forward. 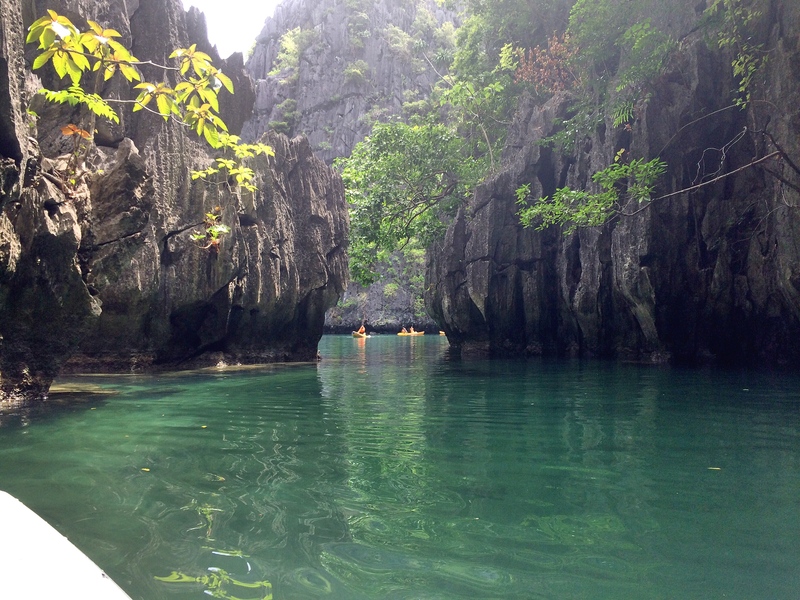 Just to give you a clue on how beautiful the Big Lagoon is, I asked my friend, Cai of Travelosyo for some pictures. So don’t be surprised if he’s in one of the photos. The view in the Blue Lagoon is something beyond my wildest dreams. The head boatman told us to take the opportunity to go to the tip of the boat and have our picture taken, with the Big Lagoon perfectly set as the background. Tyra Banks Guy took it to heart and posed himself away as Turtle Guy took his picture. I, on the other hand, felt like a loser, silently praying for the heavens to turn my phone on, but alas, the screen remained black, and it wouldn’t switch on until the next day. For one and a half hour, we went beach bumming on the Seven Commando Beach. The island reminded me of Banol Beach although this one is bigger and has more cottages to accommodate people. There seemed to be some people inhabiting the island too as hinted by some shacks that can be seen around the place. This is the only island we went to with a restroom although the condition of them left much to be desired. Still, there’s running water and a toilet and that’s what matters. Just like the Big Lagoon, I wasn’t able to take some photos. The following pictures are also courtesy of Cai. My co-passengers took this time for swimming while I chose to catch some zzz’s. I did it while sitting in of the cottages, with my head resting against the wall. Don’t ask me how I managed to sleep, I just did. When I opened my eyes an hour has passed already and it was time to return to our boat. It started to rain on our way back but thank heavens it didn’t form big waves on the sea. It was a long, wet, but safe ride back to the port. We were back on land at 4:30 p.m.
For the girls, schedule your island hopping activity when you are not on your period. Sure you can still enjoy the trip or go swimming but the hassle it brings after, especially when you go back to the boat will make things difficult for you. Just bring a goddamn waterproof pouch if you don’t have a water resistant camera or phone. And if ever your phone got wet, do not, under any circumstances, charge it right away. 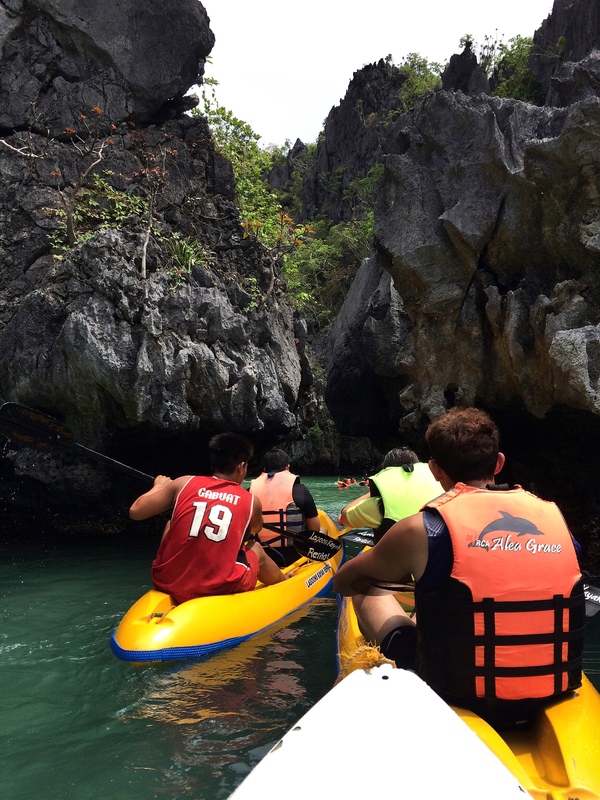 Rent a kayak at Small Lagoon, I assure you that extra PHP 300 (USD 6.03) is worth it. Make friends especially with the boatmen. Talking to them made a load of difference especially if, like me, you decide to travel there alone. 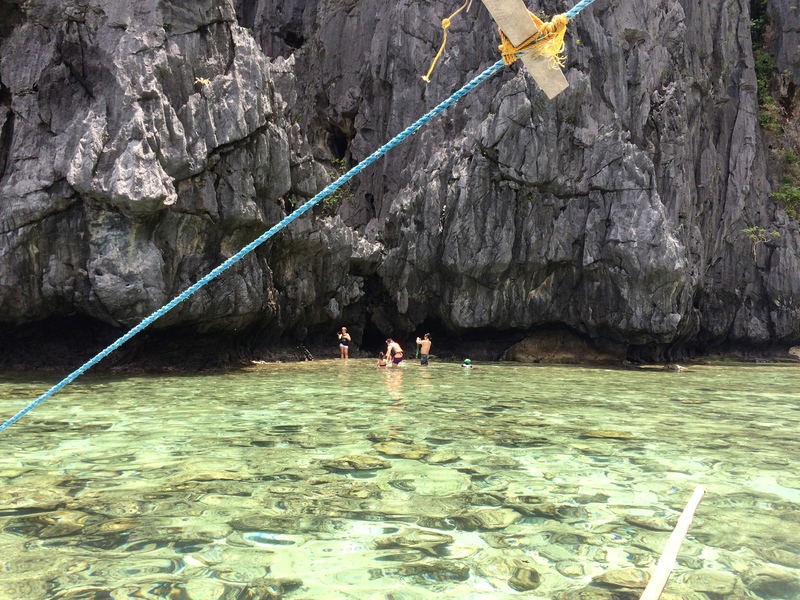 Oh, thanks for this neat sum-up of the island hopping tours in El Nido. There’s so many options, it can get confusing. We’ll be going there sometime this year. Like you, I’ve been told by friends that the best tours are A and C. 🙂 So we’ll allot 2 days for that and another day for the twin beaches. Too bad you didn’t explore the Secret Lagoon, a friend was raving about it. 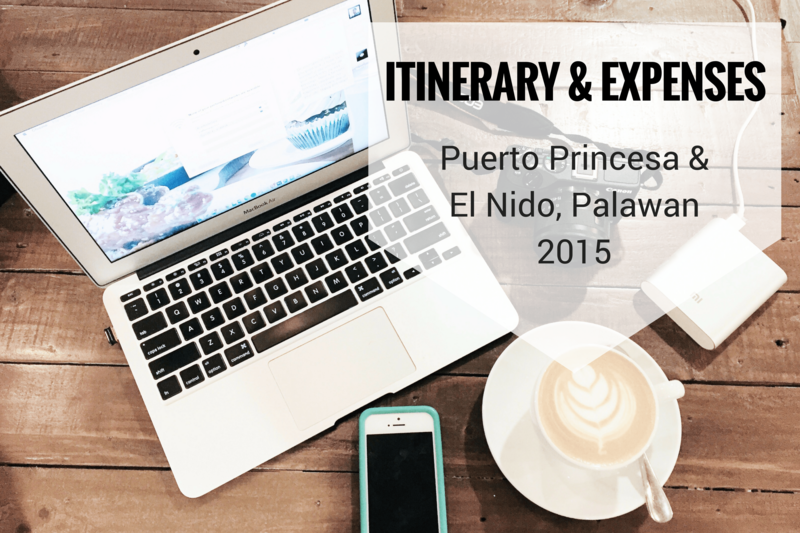 Hi, i have a planned trip to el nido this end april and i was supposed to go with my partner. But the unfortunate break up thing happened and now m thinking of going alone. 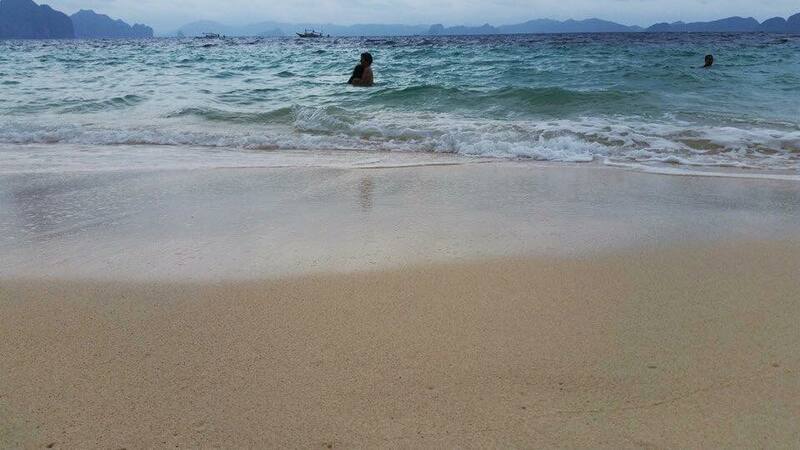 Just like you when you went to el nido, i want to find solace and some solitude…. But your blog really catched me and gave me more courage to do it alone! Wow! This article is so well written! And the images you captured are breathtaking! Hats off to you. I need to explore some lagoons in Mauritius and share it with my audience. It’s really unfortunate your phone got wet. But you sure sound like you really had tons of fun and your pictures really looked nice too. Wow, I can feel El Nido already through your blog. Those photos give me the chills and I can almost smell the sea salt. What an absolutely nice post about the place! I have been to Puerto Princesa and visited the major attractions there last 2013. 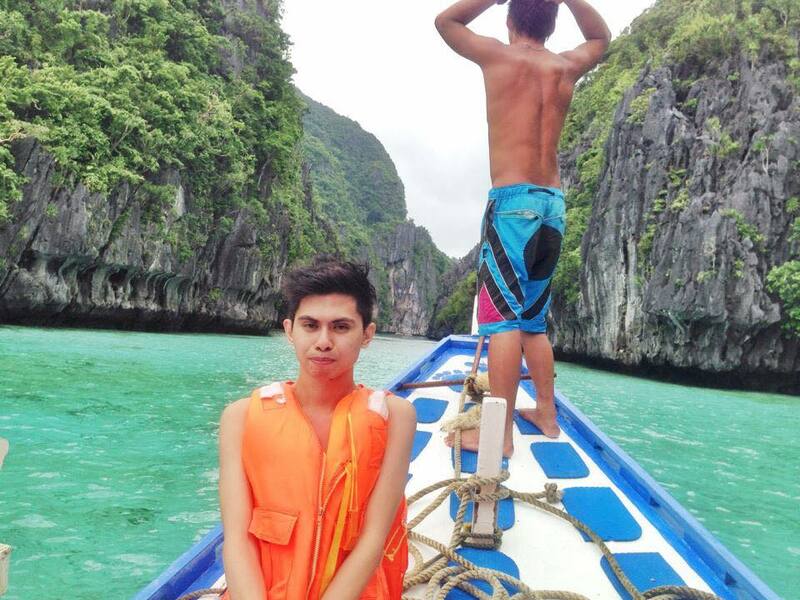 Even went island-hopping. But El Nido is El Nido! I hope I’d get to visit the paradise the next time I’m in PH. Keep traveling! I don’t mind reading long posts as long as it entertains me. 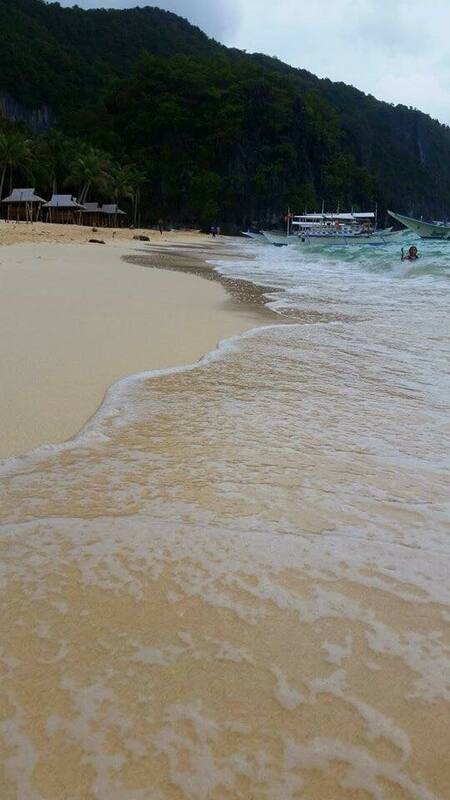 And this El Nido post is very much appreciated and loved as I love to travel and El Nido is in my bucket list. Ive never tried travelling alone coz Im scared. I usually travel with family, friends or colleagues. But with this, I would love to try so long I got all my meds with me. Hehe. this is really a paradise to me and I have been wanting to visit Palawan… too bad it is too far from my place and I still have no courage to go there alone (but we have relatives there so i guess that would help). If not this year, i hope I can visit this place in 2017! This has been on my bucket list for quite a long time now! Amazing shots and AMAZING guide to this package! I want to go so bad because of this post! Watched the video and OMG parang enjoy talaga. Hahaha. Perfect place for a summer outing with the fam no doubt! Thank you so much!!! The Secret Lagoon looks sooo beautiful! I must say, the Secret Lagoon is my favorite. The place is just enchanting and I couldn’t believe how beautiful it is. We really have a lot of exquisite places here in the Philippines. 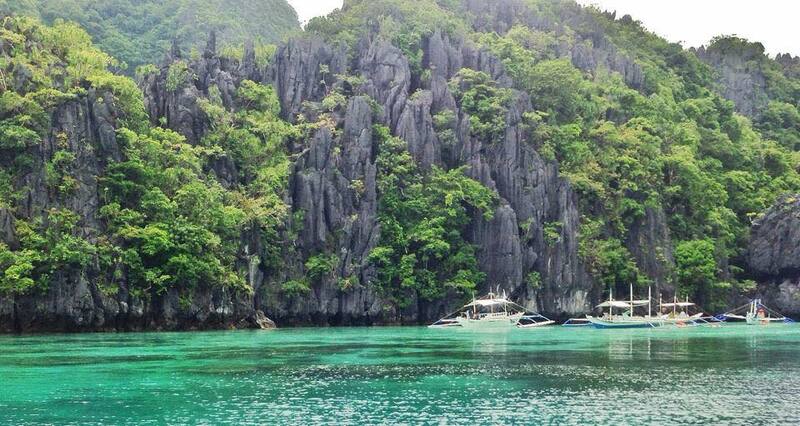 I hope I could visit Palawan in the future. I’m planning a Palawan trip this April but PAL informed me that my preferred date isn’t available. I’ll plan early next year! A tampon is the beach girl’s best friend! lol yes and then back to the water you go!